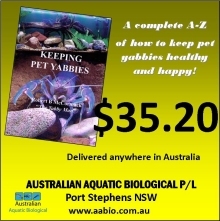 A new company has been added to the Australian Aquatic Biological group of companies. In 2017, Austsilvers was created. 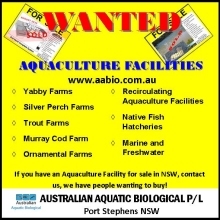 Its a silver perch, golden perch and freshwater mussel hatchery. New ponds were constructed and went into production last year. 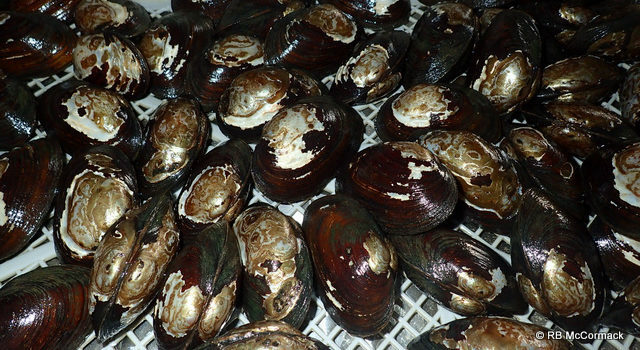 Freshwater mussels have a life cycle stage were they require a fish host. The broodstock silver and golden perch act as the host until they are needed for breeding in the hatchery. 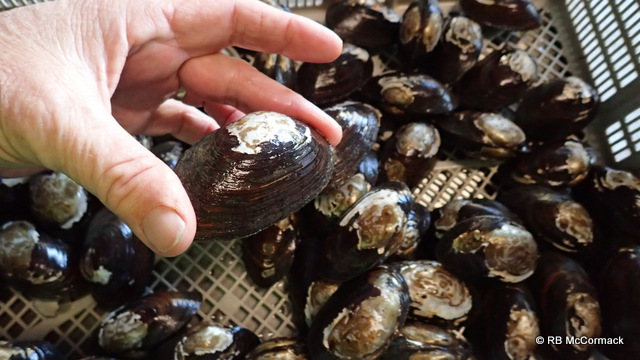 The new freshwater mussel business has been in planning since 2005 and has only now come to fruition. 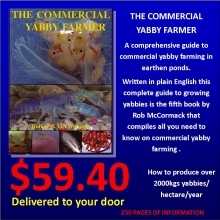 Broodstock mussels have been awaiting in farms dams ready for the new business all these years. Mussel stock has been harvested and placed within holding trays within the new ponds. 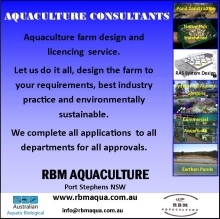 Broodstock fish have been added and mussel production has commenced with the first breeding of both silver perch and mussels last summer. This entry was published on May 19, 2018 / Rob McCormack. Posted in Consultancy and tagged Freshwater Mussel, Velesunio ambiguus. Bookmark the permalink.